I would like to have soto for my family and I know I can buy the instant ingredients at any Asian groceries store. But I don't like to use it. I prefer to make it my self from scratch. Think of it will be complicated, I thought twice before I decided to make this. I was so happy that it went well with my recipe. And it tastes nice too! You can try it! It is simple and tasty! It just need to boil the beef longer for the better result, to make the beef tender. I am a lazy mom so for sure I will not cook something complicated! In a pot of water, cook the beef together with the lemon grass and gallanga until the meat is cooked and tender. Let it stay (Beef Soup) - Usually I will boil it in a lower heat for 1.5 hours. When the meat is tender, heat the pan with cooking oil, fry the Pounded Ingredients plus the ginger until it is smell fragrant and add this ingredients to the beef soup. Turn on the heat again and boil the soup until it is boiling. 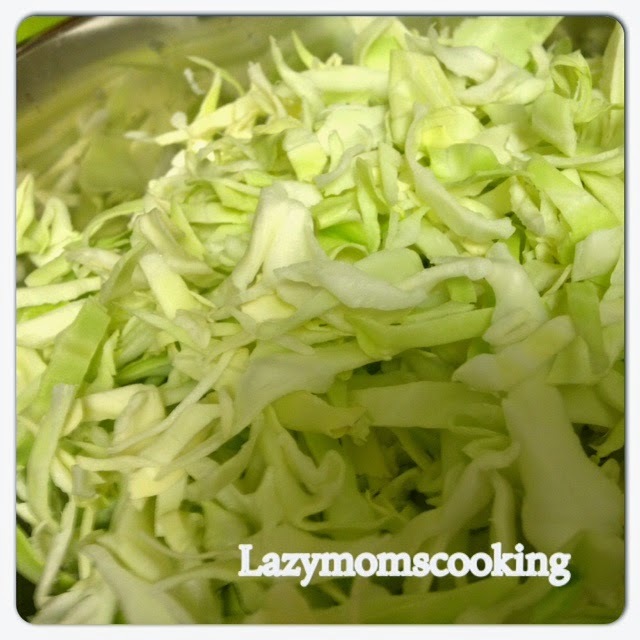 Add salt and honey and add the been sprout, cabbage and tomatoes.Taste it. You can add salt or honey if you think you need more. Turn off the heat and ready to serve!